Matlock’s super subs brought the Gladiators back from the dead with two quickfire late goals to rescue a point against a good Basford outfit at the Proctor Cars Stadium on Tuesday night. Then in a sudden and highly surprising turn of events, Craig Westcarr halved the deficit from the penalty spot after a 79th minute foul by Brad-Lee Gascoigne on Jonny Margetts. The best though was yet to come as Michael Williams hit a screamer from twenty five yards that roared into the top corner and there were still eight minutes left. Then came the equaliser which alone was worth the admission money. 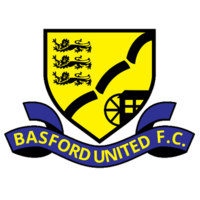 Marshall chased the ball into the penalty box, a poor Basford clearance falling to WILLIAMS who with his less favoured left foot, smashed home an unstoppable drive.